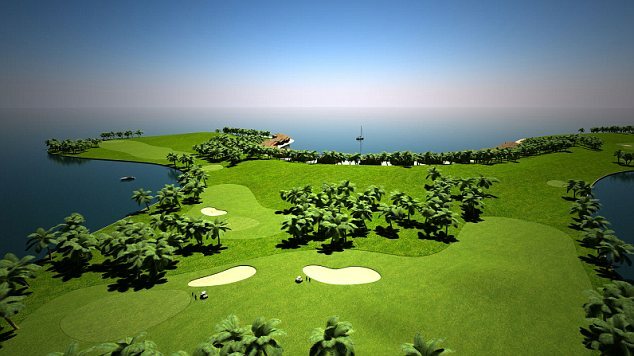 The course will be on three separate islands. Players will travel from one island to the next underwater. 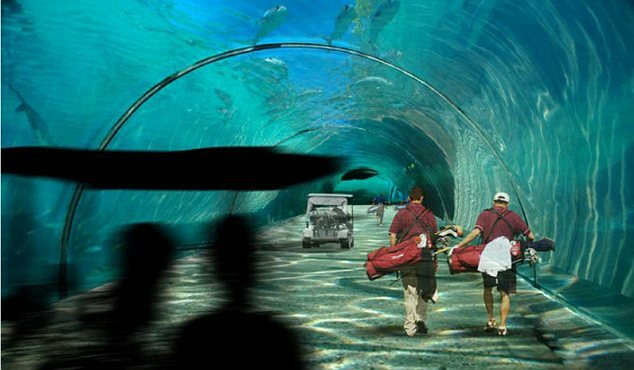 from slabs of concrete and polystyrene foam. 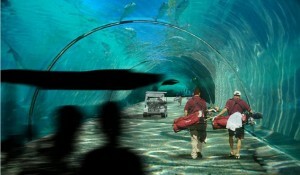 Another Dutch company, Waterstudio, is in charge of the project design. 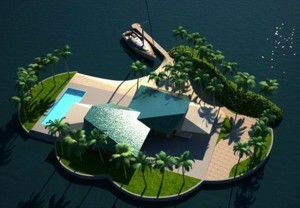 In addition to the floating course and resort, plans call for 43 private islands, each with its own jetty for yachts, swimming pool, palm trees and all the rest. 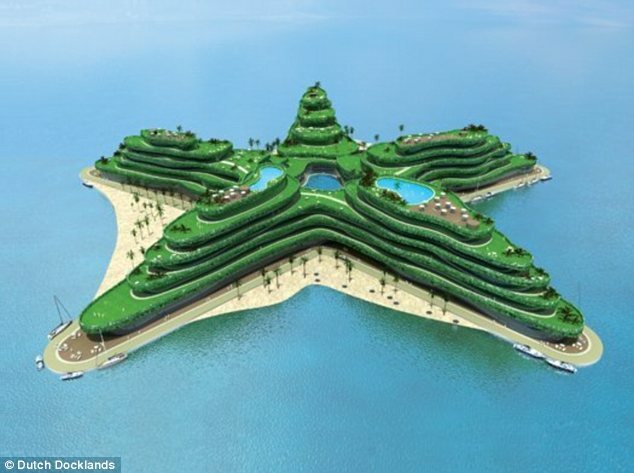 There will even be separate islands created just for workers. 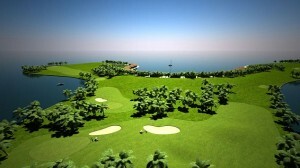 The course will be part of a larger resort, offering watersports and luxury accommodations. 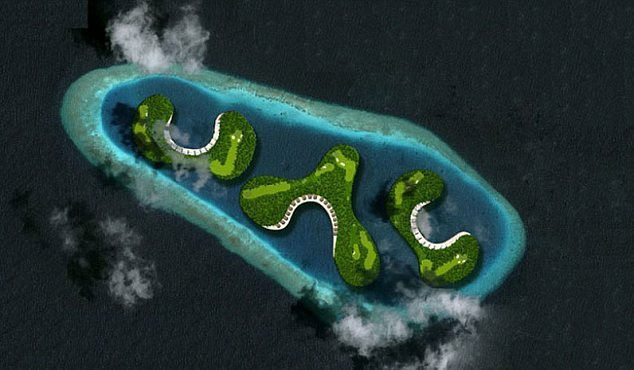 All 18 holes will offer views of the sea. 43 private islands will be for sale, each accessible from below by private submarine.